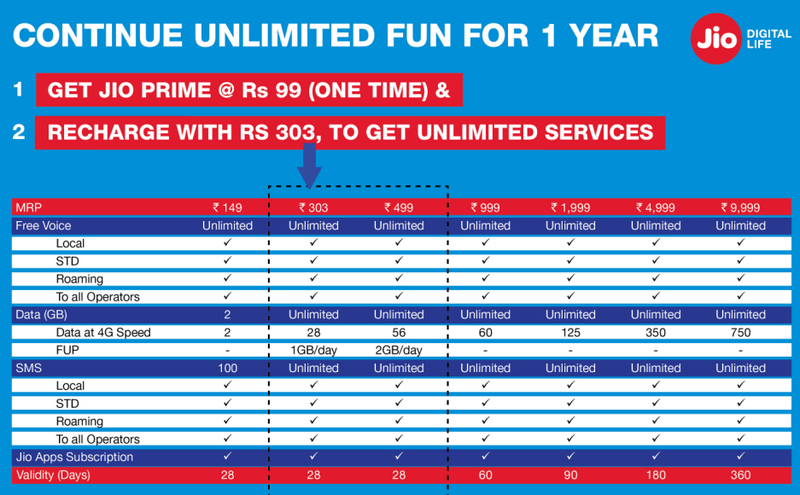 Jio Prime along with a validity recharge brings a host of benefits with it. 1) It gives you the opportunity to avail unlimited benefits of free voice (Local, STD, Roaming, to any operator, anywhere in India), 4G data and SMS that you have been currently using till 31st March 2018 for a nominal charge of Rs 303 per month. You could also choose to enhance your benefits at nominal incremental fees.